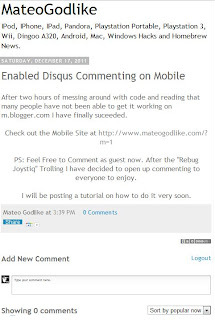 After two hours of messing around with code and reading that many people have not been able to get it working on m.blogger.com I have finally suceeded. 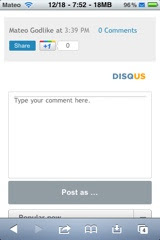 Check out the Mobile Site at http://www.mateogodlike.com/?m=1 or click the mobile button at the top of the desktop site. PS: Feel Free to Comment as guest now. 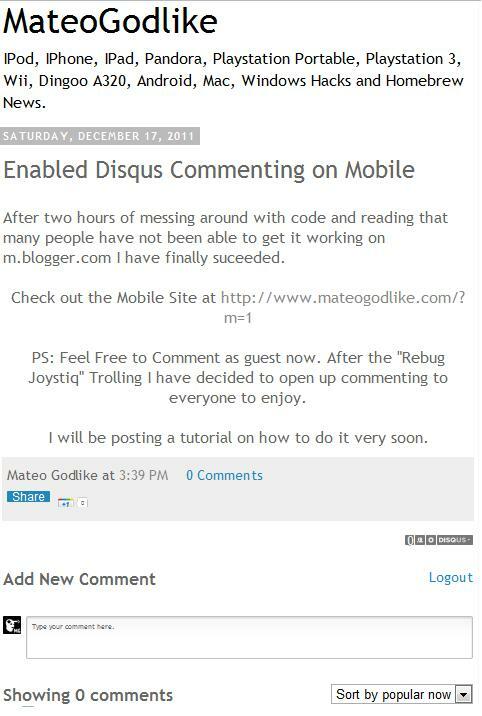 After the "Rebug Joystiq" Trolling I have decided to open up commenting to everyone to enjoy.